It’s no secret that we love Kamalaya here – a wonderful combo of relaxing space, great doctors, and inventive food. We’ve previously featured our personal experiences cooking with Kai, but now thanks to the internet you can have a virtual class with Kai yourself. 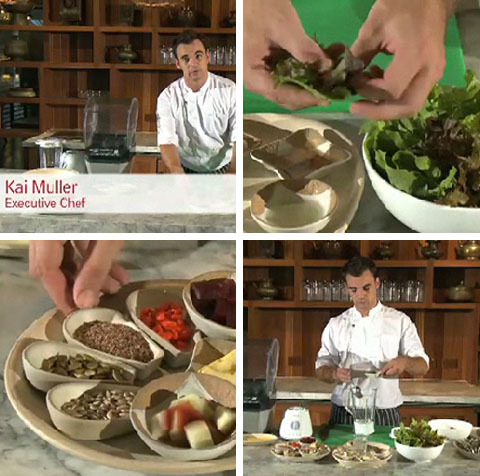 In the video (hopefully more will soon follow) Kai teaches a Detox Garden Salad with Wasabi Dressing. A great salad that, like most of Kai’s food, belies its health-food status.